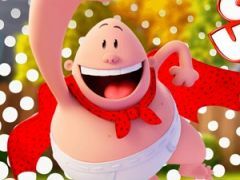 You want to know more about Captain Underpants Character Connection? It's been quite some time now since you boys did not get the chance to meet with one of your favorite character named Captain Underpants, and that's one of the reasons why we wanted to add another fun game within this particular game, a game called Captain Underpants Character Connection, where you'll have the opportunity to enter this puzzle and match 3 world. 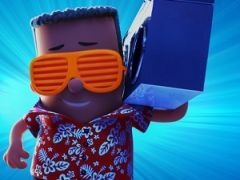 We know that you are at least curious about what you'll get to do if you choose to hit play on this following newly added game Captain Underpants Character Connection, that's why we must recommend you to stay tuned and read these game instructions that we'll offer. 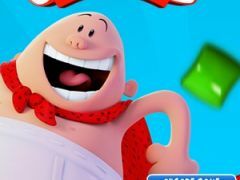 What you kids will get to do in this new game Captain Underpants Character Connection, will be to go through each level that this game has, each level will obviously be harder than the previous one. What you must do in order to collect as many points as you can, is to use the MOUSE cursor to connect the characters and create a line of at least three or more identical characters. Once you match three or more identical characters, they will disappear and more characters will drop on top. Make sure that you fulfill every task from each level before the time runs out, and try to do it within a certain amount of moves. Good luck playing Captain Underpants Character Connection! 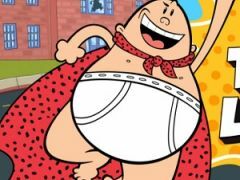 You want to find more about Captain Underpants Character Connection? The Captain Underpants Character Connection game has part from Captain Underpants Games. This game is played by 41 times, have 1 votes (1 likes and 0 dislikes) and his added 13 April 2019. If you want, you can play more games from Captain Underpants Games.